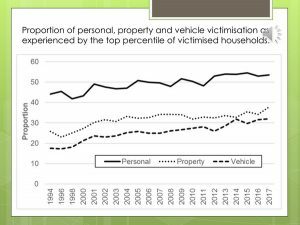 Lewis Westbury highlights several interesting pieces of research sourced in Crime Survey of England and Wales data, and the implications for developing practical tools in the fight against crime. I set up Police Rewired in 2018 as a group for professional developers, designers and data scientists to volunteer their time. We build tools that fight crime and increase public safety. Understanding the problems our volunteers are tackling, and identifying the factors that will lead to success is essential for Police Rewired projects – and that’s what brought me to the Crime Survey of England and Wales (CSEW) Users’ Conference in late 2018. Working outside the police has allowed me to freely build relationships between police bodies, researchers, the tech industry, and our core volunteers – who take inspiration and data from those interactions to build new tools. 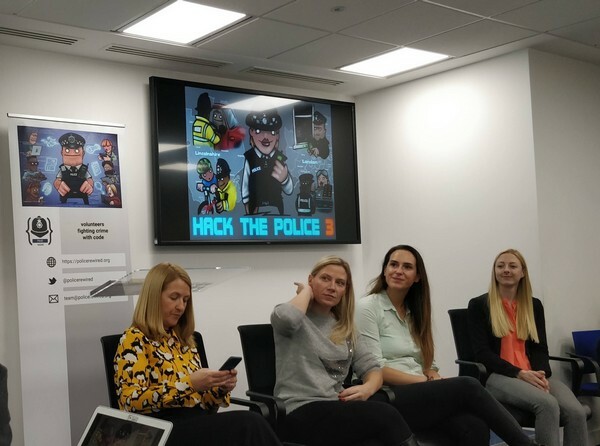 The CSEW is a rich source of data, and the Users’ Conference provided some key material for Hack the Police (our annual policing hackathon) in December 2018. The hackathon itself is a weekend-long invention marathon taking place across locations in Lincoln and London. Sean McGee & Simon Imbert (ESRI). 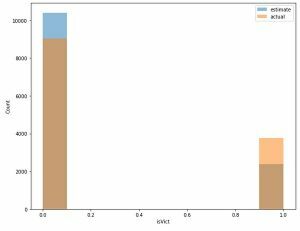 Researchers in several fields presented their work on the CSEW dataset at the Users’ Conference this year, and their insights have helped to inspire some of the people who came, and fed into their projects. The collection of data sources we made available to our participants is available here. 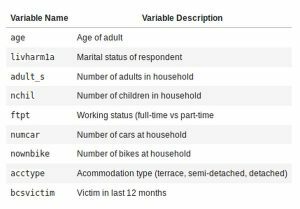 The CSEW dataset used was: Office for National Statistics, Crime Survey for England and Wales, 2016-2017 [computer file]. Colchester, Essex: UK Data Archive [distributor], February 2018. SN: 8321. The work undertaken was non-disclosive – no attempt was made to identify individuals, nor was any information derived. The research outputs – specifically the graph for charting model performance – contains no identifying features. 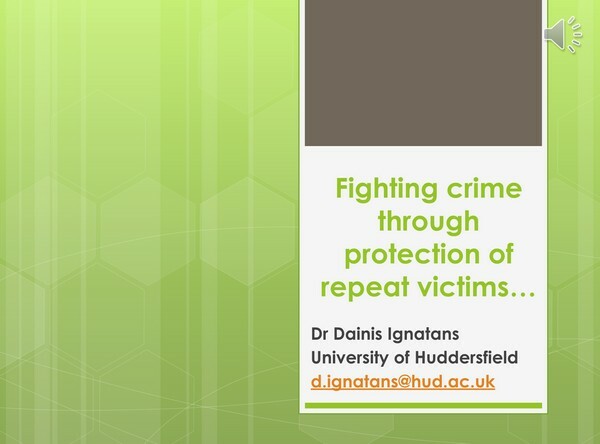 Dr Dainis Ignatans, from Huddersfield, has done some very interesting work on repeat victimisation – showing attributes that help to identify repeat victims, and demonstrating the impact on crime of safeguarding and protecting them. He was kind enough to provide a narrated presentation for us covering the main points of his research. This inspired data scientist Keiran Suchak, from Leeds University, to develop a model that attempted to detect repeat victims amongst the CSEW data available online. Keiran explored and trained various logistic regression models to estimate the likelihood that an individual would be victimised. His first model asserted that all people in its sample set would be victimised. It was correct 70% of the time. He worked with several different regression model types (including decision trees, random forests and neural networks) looking for improvements on that benchmark. After including information about previous victimisation in the past 12 months, Keiran’s model at the end of the weekend was able to make predictions with 89% accuracy. Simon White, from Cardiff University, has been developing his work on identifying expressions of fear of crime through Twitter for comparison with CSEW data. He was able to provide us with a presentation and a cut of his data. At the hackathon I presented the work I’d done on a project called A Cop on Every Corner, conceived by Alex Blatchford (Digital Policing, Metropolitan Police). The idea is to pair spare moments police officers have (between major taskings, or as they travel) with micro-taskings – small jobs they can voluntarily accept to increase policing presence, and clear up smaller issues that might otherwise fall between the cracks. As you can imagine, with fleetingly small amounts of time you have to have a good idea of what tasks will have the best impact, and how to easily identify them. Interesting sources of micro-taskings, in addition to police knowledge of local issues, call back to the CSEW research I’ve already mentioned: areas and times where the public perceive danger (from Simon White’s work), and an understanding of who repeat victims are and how to protect them (from Dr Ignatans) are both rich sources that we can use to reassure the public and deter crime. Other projects presented at the hackathon also dealt with other policing problems using large data sets (or finding new ways to collect and present data), and tackled them in interesting new ways. Team Cursor built a tool to answer calls to the 101 non-emergency police line. Team Fresh created a tool call PolSe – for helping to find and manage all the information that’s involved in the search for a missing person. Team Blue Mesh demonstrated a tool for visualising the progression of incidents and crimes; and to highlight correlation and conflict in those reports. Exatek Cyber showed off a virtual reality training room for detectives. Nick and Jan created a quiz to test your knowledge of cyber security. Team We Got This created a community ANPR app to help police locate wanted vehicles. Cyber Specials from CSCV demonstrated some new ideas they were working on for digital forensics. Jonathan presented a solution for collecting CCTV that victims wish to submit to the police, saving police time and frustration spent fetching and viewing video. Team Blue Highlights created CRIS-10 (pronounced ‘Kristen’), a tool for parsing and summarising the free-text of crime reports and interviews and answering questions about those incidents. Umar presented work on facial recognition, taking inspiration from video posted of public events online. Keiran presented his work on identifying repeat victims and estimating their likelihood of future victimisation. Team Splatten presented their work training a model to recognise different blood patterns to help with crime scene investigation. Andreas and Shan developed a virtual reality crime report investigation environment. 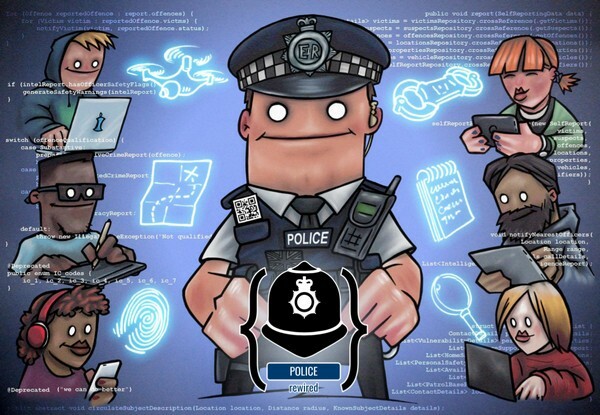 Andre developed Interoper, a demonstration of the capabilities an investigator could have if data formats were standardised across the industries that police typically interact with. James made a study of open source information on police buildings to answer questions about how vulnerable they could be. Police Rewired and CSCV are working together to get those projects in front of the right people. The Digital Futures team in Lincoln are already making plans to take forward some of the projects, and in London we’re preparing for follow ups with the MPS and other forces who might want to take a look at them too. Amazon Web Services are talking to Jonathan about taking forward the CCTV upload system to production. Clue (a company building a modern investigation toolset, and spearheading an open API standards) are also working on a project to extract structured occurrences from unstructured text – and will be meeting with Team Blue Mesh and Team Blue Highlights for an exchange of ideas and techniques. Running a hackathon is a brilliant and exhausting adventure, but it’s just one part of what Police Rewired does. 2019 is looking like it’s going to be a busy year already! We’re getting started on some longer term coding projects for new tools in public safety, and I’ve got plans for future events too – working alongside existing research, and with other teams that are innovating across the policing. We’re entirely voluntary, and nothing we achieved this year or last would have been possible without the extraordinary lengths our team went to. Huge thanks are due to: Rory Geoghegan, Andreas Varotsis, James Curtis, Shan Sun. 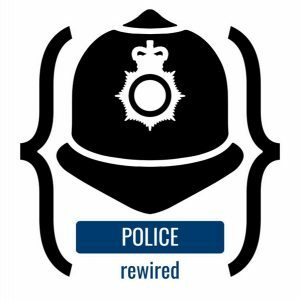 Lewis Westbury has been a software developer for 15 years, a special constable for almost 10, and is now founder and volunteer coordinator of Police Rewired.